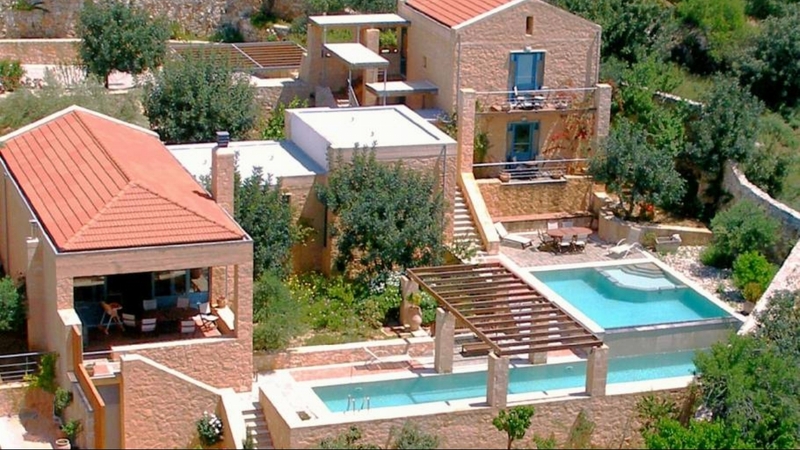 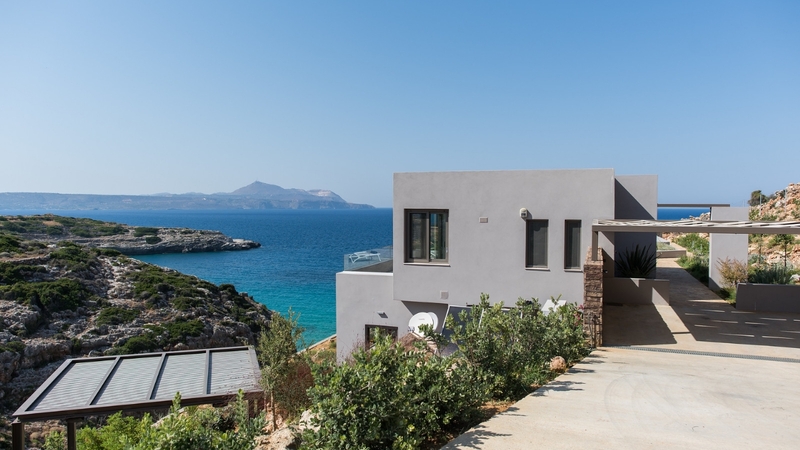 Villa Searock is a haven of total seclusion and immense natural beauty. 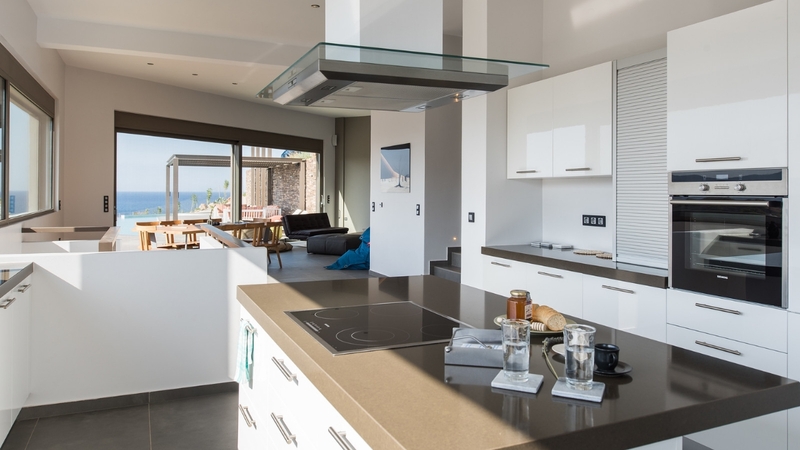 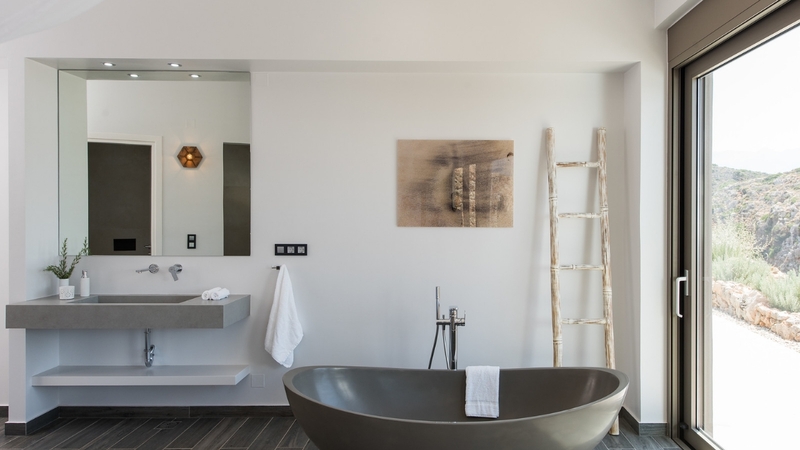 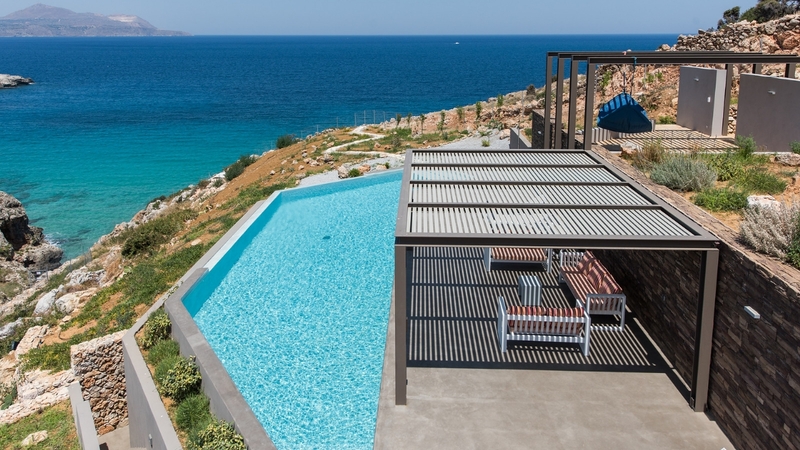 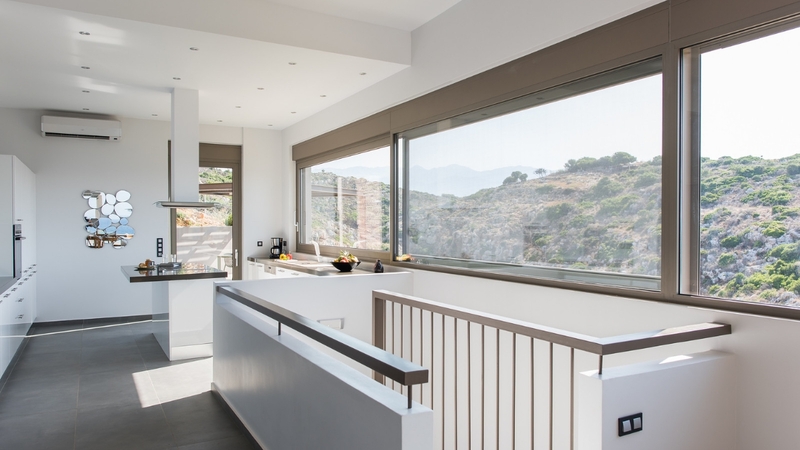 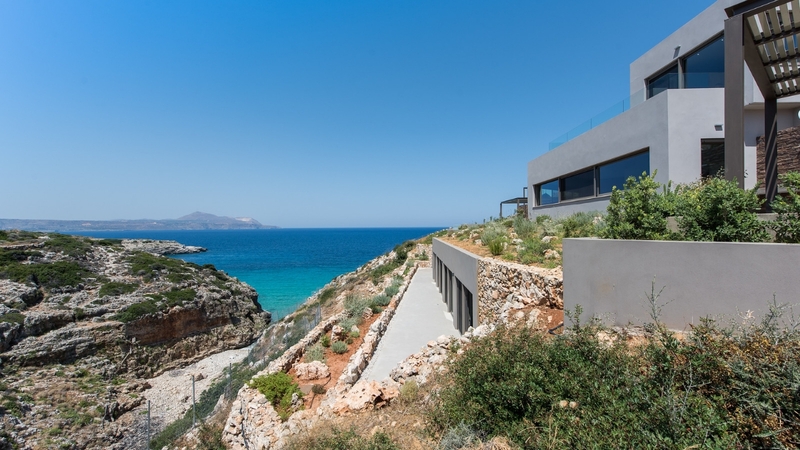 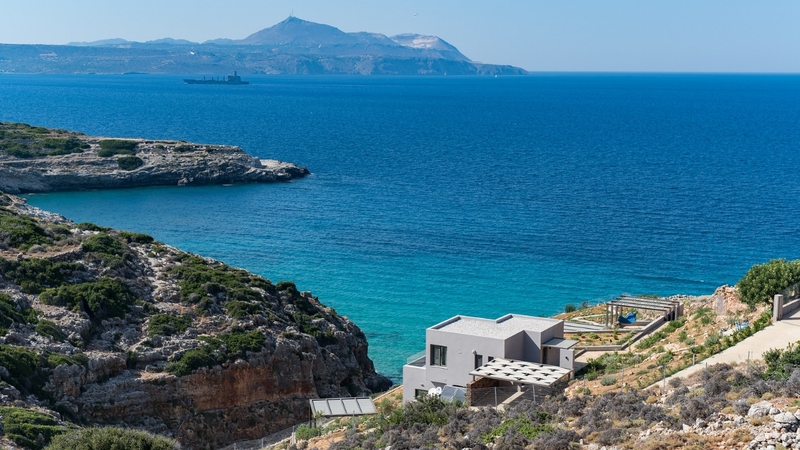 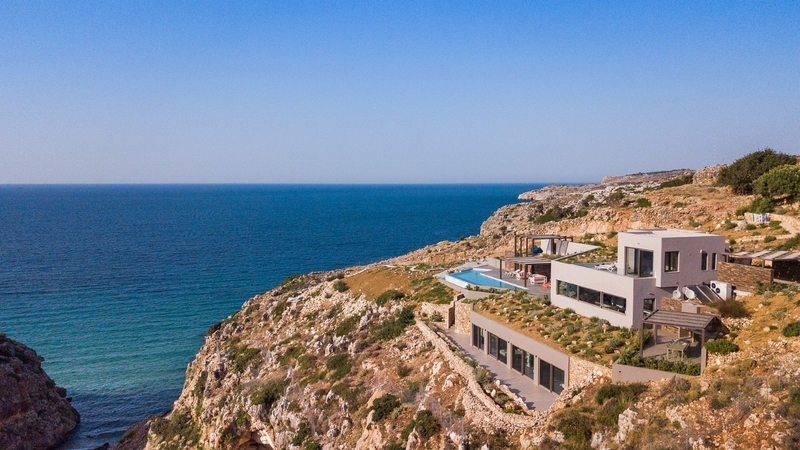 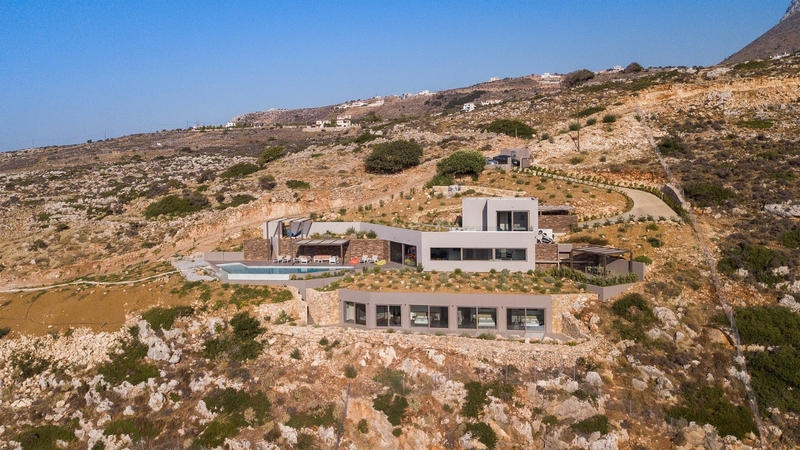 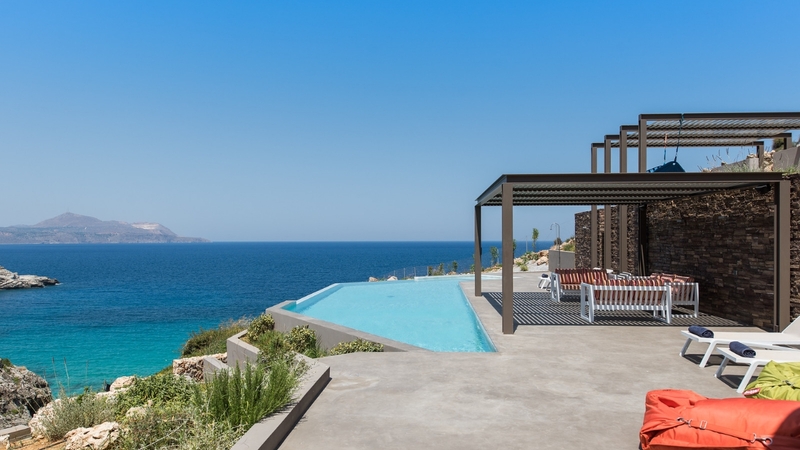 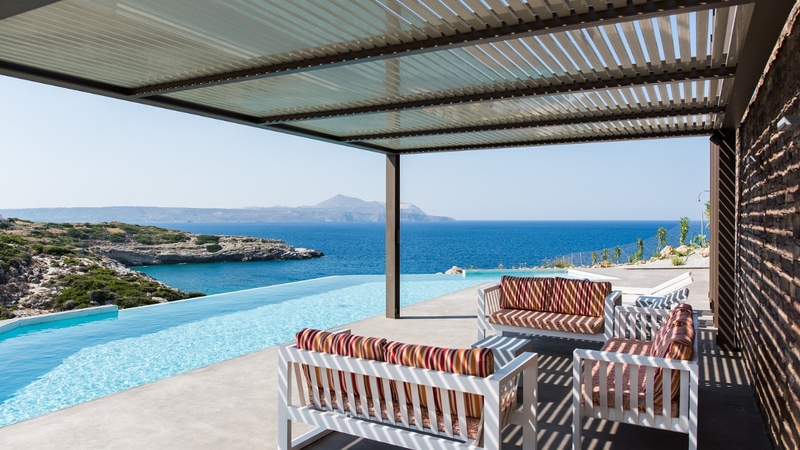 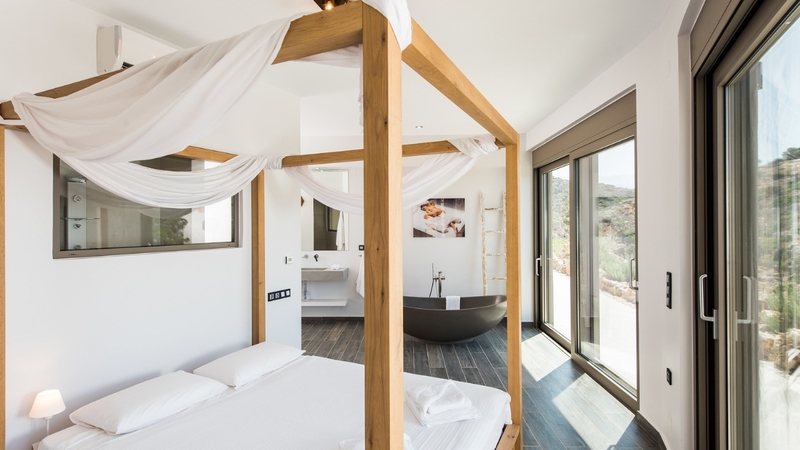 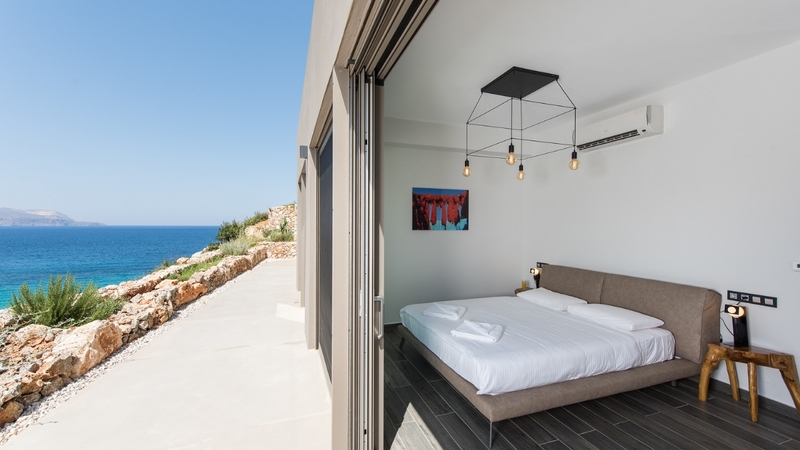 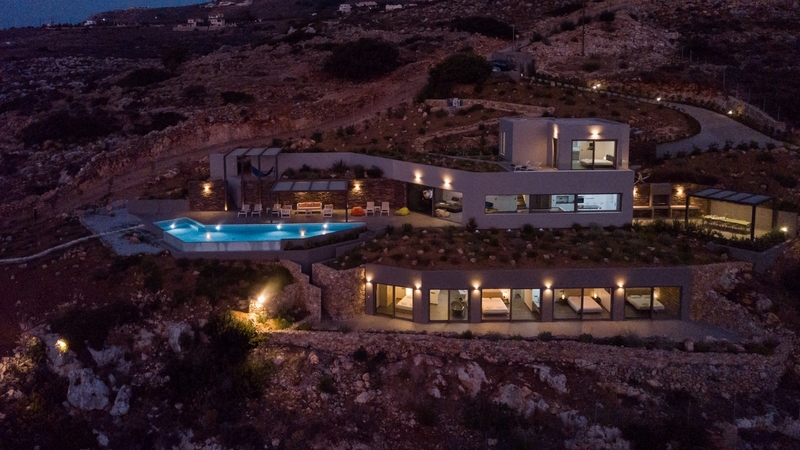 A modern residence located only a few kilometres away from the picturesque city of Chania, the villa awaits guests to seduce them into the wild yet welcoming Cretan nature. 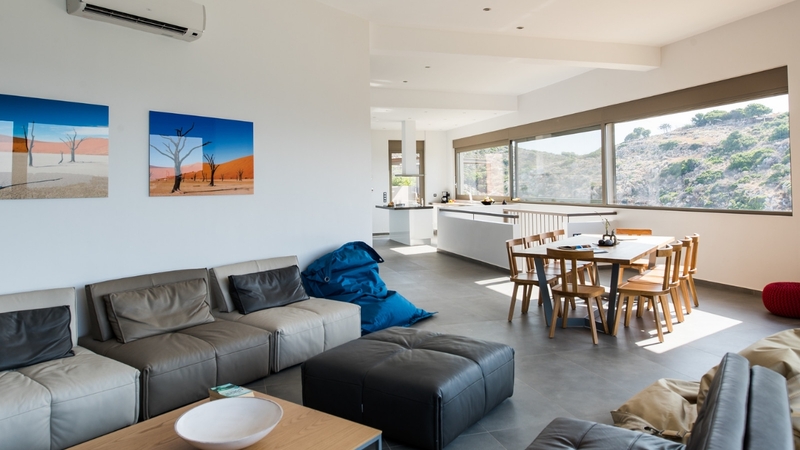 Three spacious levels of minimal decoration, designer furniture and overwhelming sunlight welcome up to ten people into a heavenly oasis of purity and freedom. 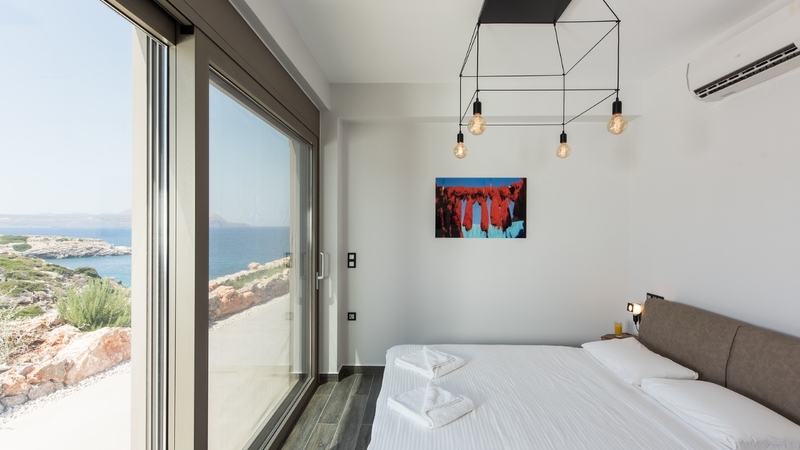 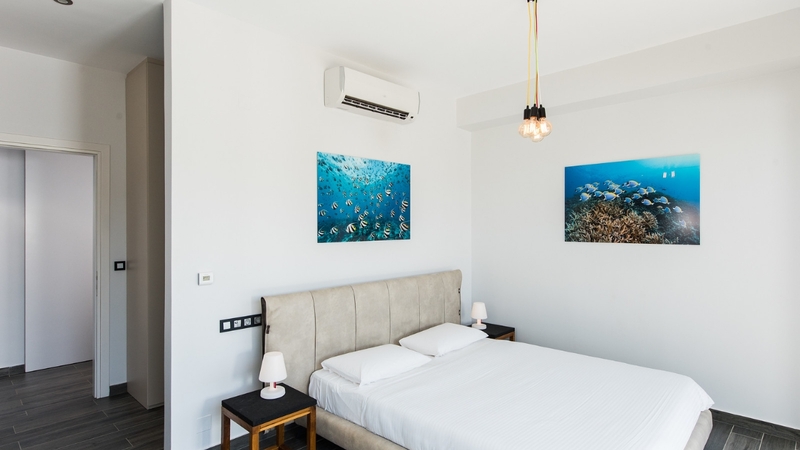 Local taxes, cleaning, new linen and bath and pool towels before your arrival and at mid-week, a welcome basket with ouzo, raki, coffee, tea, water,... 100% peace of mind (operated with EOT tourist license). 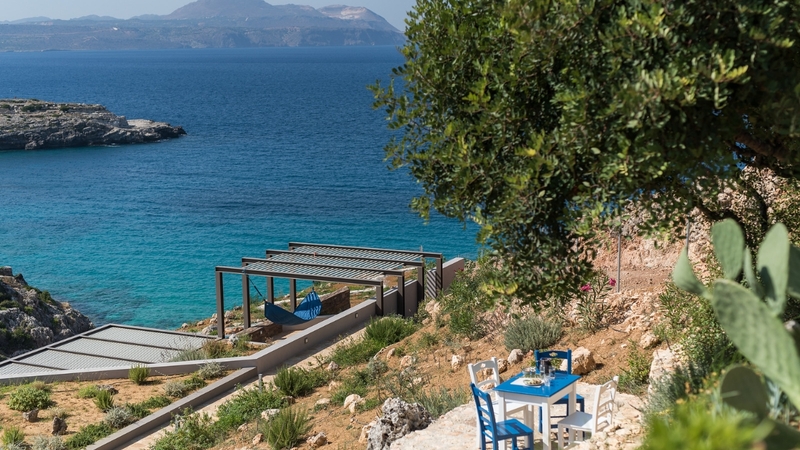 Upon request, various additional services can be organised by our local representative and several local restaurants assure food delivery and/or takeaway. 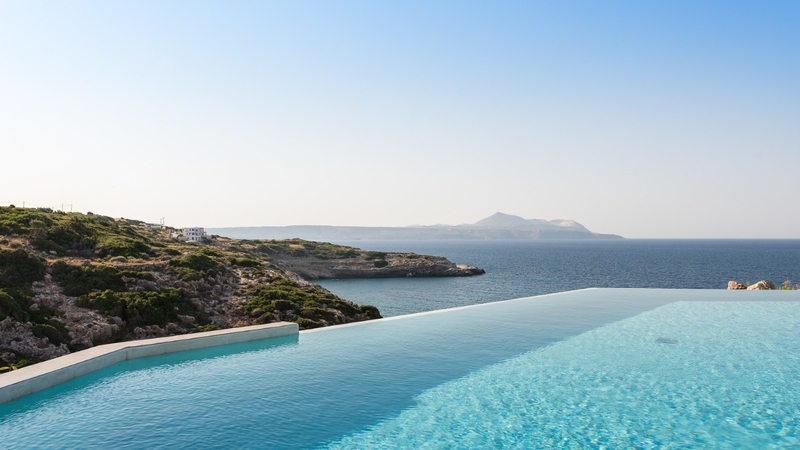 Concierge will organise your every wish, well almost!